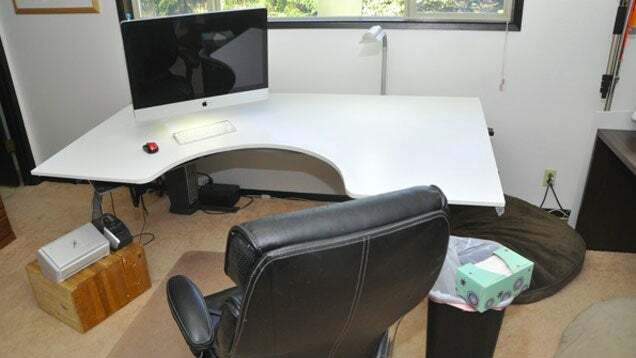 RestartGTD's Bill Meade obviously thinks a lot about GTD (Getting Things Done), and so his workspace has been adjusted and updated over the years for the most productive workflow. This is the latest iteration. 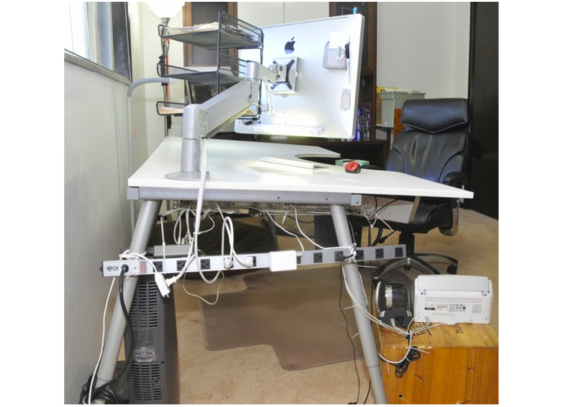 The power adaptor is mounted and hidden away to the side, an IKEA cable manager mounted under the desk keeps tools and accessories at hand but out of sight, and the semi-circle cut out of the conference table gives access to a greater proportion of the desk surface space (which Meade writes on with crayons and cleans up with Windex). We've noted Meade's mount-everything-behind-the-monitor strategy before and offered some of our own hidden storage ideas, but learning about the rest of the setup is cool too.